The awesome folks at Egmont have offered up two signed, finished copies of Spies and Prejudice to two lucky Austen in August readers! This giveaway is US only (sorry, international peeps! Make sure to check out our other awesome giveaways, though!) Ends September 7th, 12a EST. Fill out the Rafflecopter below to enter. You know I love all things p&p. So this just seem right up my alley! I've actually read it a library copy and I loved it so much I want to own my own copy :) I totally love Mr. Bennett from P&P! He's awesome. I love most stories to do with P&P, but I'm unfamiliar with Veronica Mars so my curiosity has me interested in this one. Thanks for the giveaway opportunity. It's a different take on the same story. I don't know anything about Veronica Mars but I have always loved P&P. 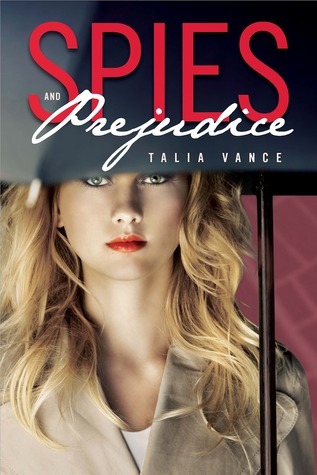 I'd like to read Spies and Prejudice because it sounds like a great modern take on the P&P story. What fun! i want to read Spies and Prejudice to see what sorts of twists & turns there are!!!! I once borrowed Veronica Mars from a friend and I never finished the series because she needed it back fairly quickly. I really need to borrow it from her again because I always liked it! I would love to read this book! This sounds like fun, since I love mysteries. My favorite side character from P&P is Charlotte, who is pragmatic and gets an ending she's perfectly happy with, even if it isn't romantic. 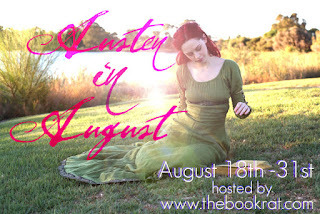 Is it wrong of me to choose Lydia Bennet? Sure, she's a brat but maybe I'm willing to excuse her because she's only 15.